You’ve been working hard on your detox and you want to be sure that the effects of all that effort last. You can also set yourself up for your next seasonal detox, primed, and ready to release toxins on a deeper level. If you have never heard of Ayurveda, here’s the skinny: Ayurveda translates to ‘knowledge of life’ or ‘science of life’. Ayurveda is to India what Traditional Chinese Medicine is to China. Ayurveda is about living in communion with the shifts of the seasons and the rhythms of the sun and moon throughout the day. It is an ancient practice that both supports wellness and recovers health. The principles are universal and can be practiced by anyone with a desire to feel more connected to their health and well-being. If you have been involved in a seasonal detox, you’ve already begun to practice one of the Ayurvedic principles, so adding these 3 simple daily practices will increase your body’s ability to withstand the stress of daily life and the toxins you can not help but be affected by. 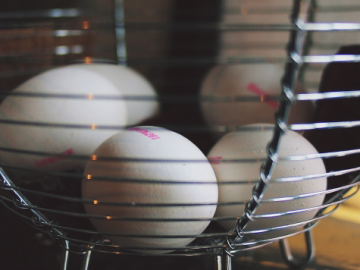 If you haven’t already, begin to add these 3 practices into your routine. Do them sequentially and stay with it. Upon rising, eliminate, brush your teeth and scrape your tongue. Did you know that you will remove more sticky plaque from your mouth with a metal tongue scraper than you will by brushing your teeth? Here’s a simple video by Rommy Kirby to show you how it’s done. Do this before putting anything into your belly. By now, you have an understanding that a clean digestive system works so much more efficiently and uses less energy that a clogged up, gummy one. To keep your system clean and start with a clean stomach, drink 16 – 20 ounces of warm water with fresh squeezed lemon first thing. Better yet try my alkalizing lemon drink with apple cider vinegar. Okay, so #1 is actually about ‘number two’. Cleansing your stomach with water promotes movement and trains the body so that it will eliminate through the bowel more easily. Do you have to add lemon? No. Will it hurt to add lemon? No. Just make the water is body temperature and you will get the greatest benefit. Clean pure, warm, body temperature water first thing in the morning will help to clear out any leftovers in the stomach. 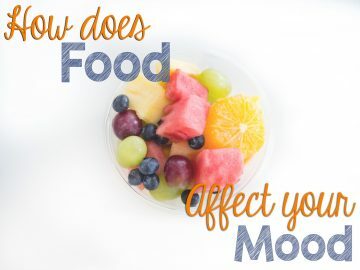 This way yesterday’s food that may not have fully digested will not mix with today’s undigested food, kind of like getting a new plate for your breakfast instead of using the dirty one from last night’s dinner. It hydrates you! Your body wakes up dehydrated. It’s been starved for water for at least 8 hours. Because optimally, your body is about 70% water when you start your day with all your internal electrical systems flowing, you will think better. Which means you will make better food choices. Better food choices now mean that your next seasonal detox will release a little more deeply. The daily practice of Abhyanga is a hot oil self-massage. This one practice will nourish your skin and body on a level that is superior to any other skin treatment. Remember, your skin is your largest organ. Once you start the habit, you’ll find it doesn’t take long to add it to your daily morning routine. This is my favorite coconut oil to use. Warm your oil to body temperature. Pour a small amount into your hand and add oil as you need it. Massage into hands. Then begin with the neck, working your way down towards your feet, because this is a grounding massage. Long strokes on the bones and circular strokes on the joints. Until you reach the feet. When done, get into a hot shower and let the hot water rinse over you. The hot water will open your pores and press the oil into the skin. This is not only nourishing but protective. If you want to use soap, use it on your pits and privates. Dry off as you normally would. 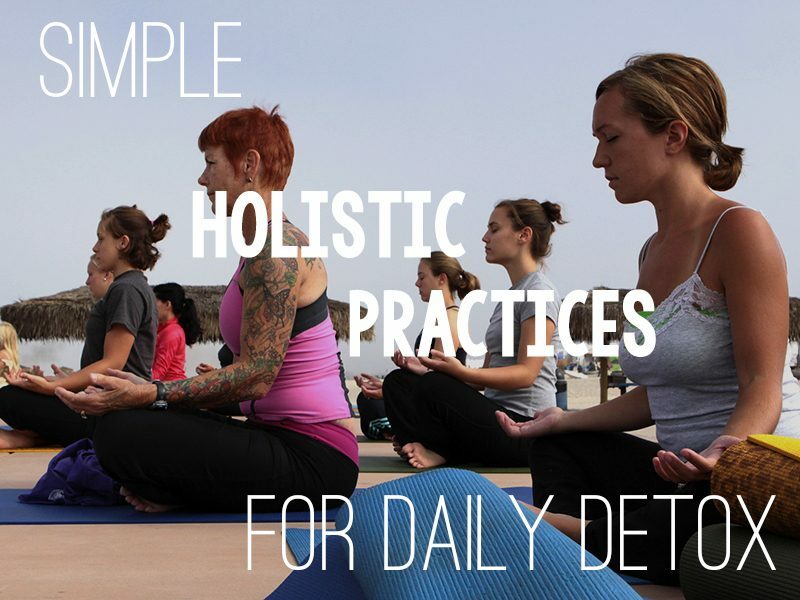 These are so simple, easy, and actually elegant ways of taking care of your body that will promote daily detox in a toxic world. The breath is one of the most useful tools we have to settle our mind and relieve stress. This advanced breathing technique is really quite simple and accessible to anyone, anywhere, anytime. It’s called Square Breath. It’s super easy to remember how to do because you do it just the way it sounds. The beginning breath ratio is 4 x 4 x 4 x 4. Easy right? Start with a really deep breath in and just release it. That’s one round. In as 5 rounds you can completely shift your mind towards more peaceful thoughts. My 7 Day Hot and Healthy Detox Program is not your average Detox program; it is not about deprivation! You are going to be creating simple and delicious meals that are quick, require a few ingredients and leave your body feeling energized. You will eat foods that nourish every cell in your body and leaving out the foods that are hard for your body to digest. The result is a healthy, radiant you from the inside out. The Hot and Healthy Detox is an online, video-based program, and best of all, you get lifetime access to the recipe videos, PDF’s and bonuses. 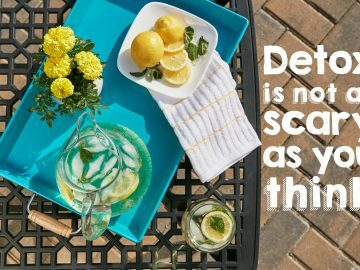 Detox is Not as Scary as You Think!